If you’re a freelancer, you probably already have a solid Facebook page, current LinkedIn account, or Twitter presence. But if you’re looking to land top clients and thrive in a saturated market, then relying on social media isn’t enough. You also need an outstanding online portfolio. The benefits of a digital resume are tenfold — seriously. A portfolio website can help you establish your personal brand, show off your talents, land new jobs and clients, and solidify your professionalism in a way that social media just can’t on its own. So first, let’s talk about what makes up a good portfolio. Because, obviously, if you’re going to do it, you want to do it right. 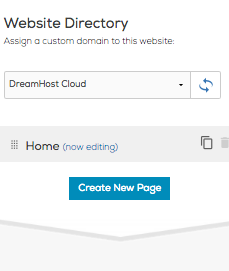 Then I’ll show you how you can use DreamHost’s website builder to get your own portfolio online in less than 10 minutes. What Makes A Good Online Portfolio? If you include the following must-have elements into your digital resume, you can rest assured potential clients will be wowed by your talent — and your website. It should go without saying that your online portfolio needs to be its own website — and that means you’ll need to choose the right domain name. As a freelancer, it’s often smart to either pick your own name or the name of your business for your domain name. 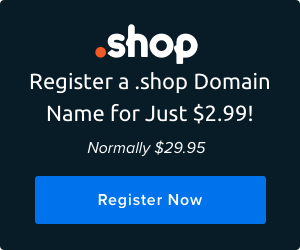 While .com is still a very popular TLD, there are many more options available — at DreamHost we offer 400+ domain extensions. All those domains means you can find a TLD that perfectly fits your business, whether it’s .photo, .guru, or .band. Getting the right domain for your small business is easy if you follow these 7 best practices. The best news about creating an online portfolio: you don’t have to know how to code to get a professional website up in minutes. Instead, using Remixer you can pick your favorite mobile-responsive website theme and then just add your own content. Remember: it’s vital to have a mobile-responsive design. Today consumers spend 87 hours per month browsing on their smartphones — and only 34 hours surfing on a desktop. If you want to reach all your potential clients, having a mobile-friendly website is not optional. Looking for good design ideas? Look no further than a galaxy far, far away. There are several reasons why good graphics matter, but there’s one that’s most important: the images you choose can make or break your website. That’s because your graphics are the first thing visitors will see first. If the images look good, visitors will stay engaged and assume that you know what you’re doing. But if you’ve got unattractive images or poor-resolution photos, your website can drive visitors away. The main reason a potential client will go to your website is to see your work samples. So give them what they came for! Consider including 10 to 20 pieces of your best work. If you don’t have real-life samples because you’re just getting started, feature spec work on your website instead. This DreamHost customer built a thriving business with her photography website. Not only do potential clients want to see your work, they also want to get a sense for who you are. An “About Me” page is a great way to showcase your personality and pitch your work ethic. Think of it as an evergreen cover letter. Videos are the most widely consumed content on the internet. 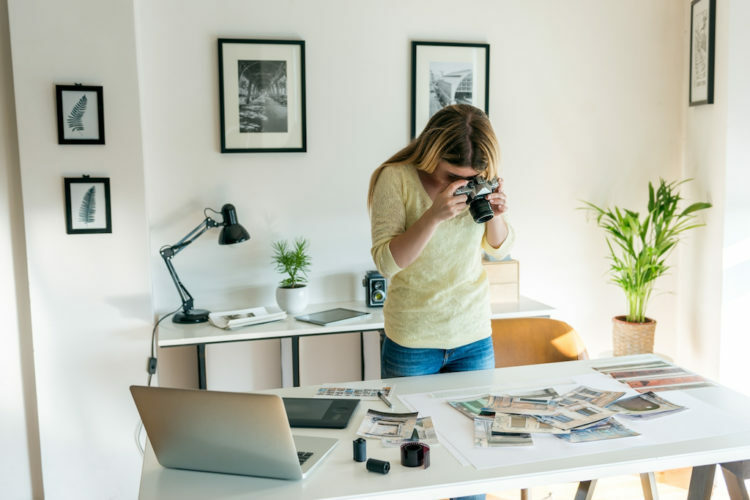 As you build your portfolio, consider showing off some of your samples and introducing your work in a well-crafted video that can be easily uploaded to your portfolio. It’s common to have your central message on your main page, and then add other pages to your website for secondary information — think “Contact Info” or “Pricing.” If you’re looking to pick up freelance work with your portfolio, you need to make it easy for potential clients to navigate your site. Here are five fail-safe rules for structuring your website’s menus and pages. When you give your personal brand an online presence, you set yourself apart from other professionals and are one step closer to landing the perfect client. Setting up an online portfolio with Remixer only takes a few minutes — really! Don’t believe me? Let’s walk through the process step by step. The first step is to create a free Remixer account. Enter your first and last name, email address, create a password, and click “Create Account.” Once you’ve created your account, click to log in to Remixer on the next screen. 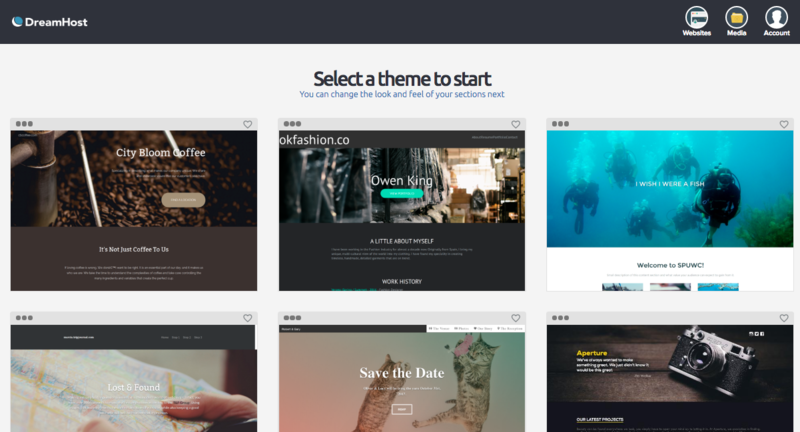 As soon as you log in, you’ll be directed to a page where you can select a theme for your new website. 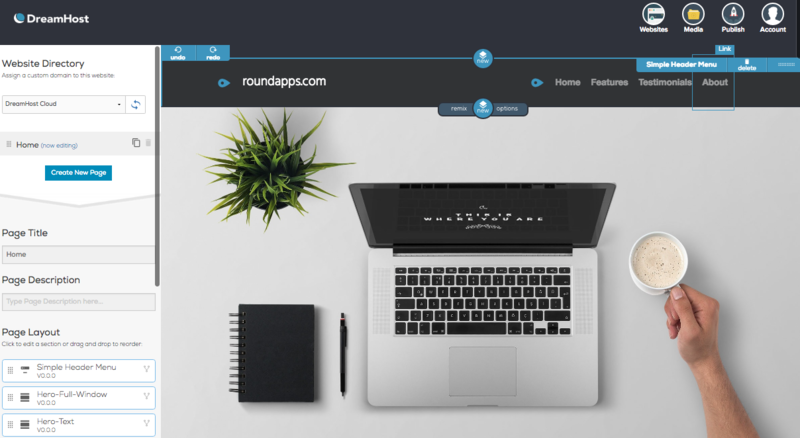 Once you’ve selected a theme, you’ll be directed to a page where you can customize all of the information on your template to match your brand. Look at the bottom left corner of the page. There, you’ll see each element of your page layout. You can switch these around to suit your needs. Once you have your page layout determined, it’s time to design your page. 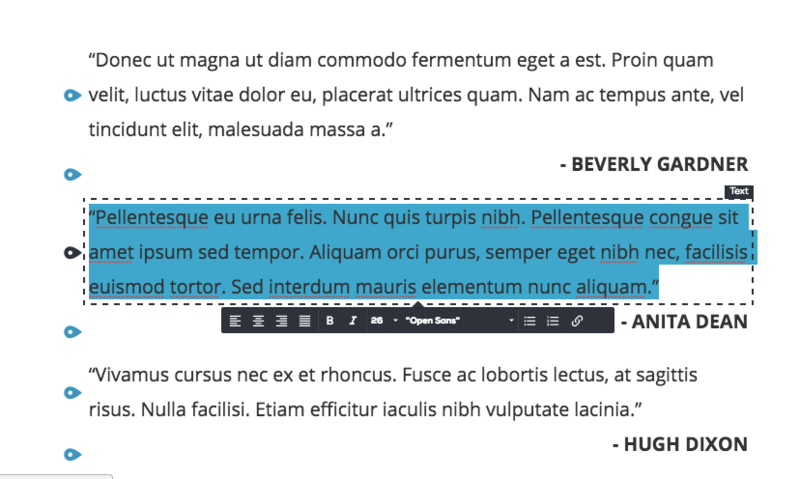 We like to think Remixer is pretty intuitive, but it never hurts to see a few examples, right? 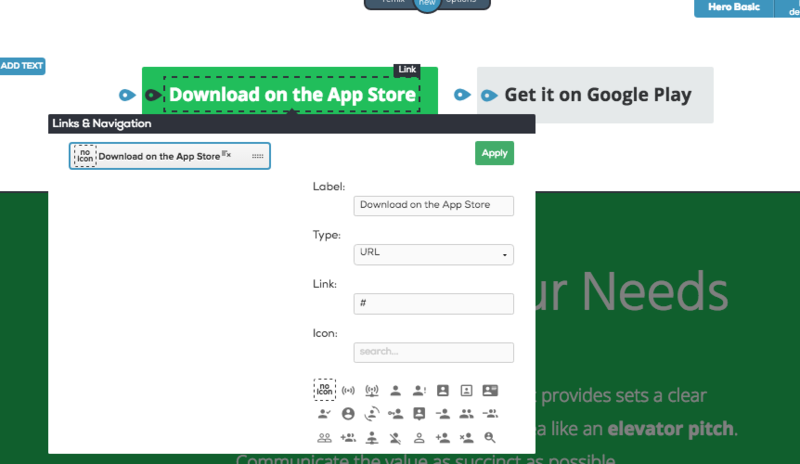 Let’s say you want to customize a call-to-action button. All you need to do is hover over the button and click. A pop-up window will appear to let you change just about everything: add a button label, new text, an icon, or a link. Now let’s say you want to change some text. Simply hover over the area you are looking to change, click it, and then begin typing. Remixer gives you several formatting options and makes it easy to include links. As you continue to review your template, you’ll notice everything is customizable — including the images. If you want to search for a different image or add your own photos, click on the “Media” button in the top right corner. You don’t have to be a professional designer to create a good-looking website. When you’re ready to create new pages, look for the “Create New Page” button on the top left corner of the page. Follow the steps above to build out your new pages just like you did the home page. Once your website is designed, all that is left to do is click “Publish.” If you want your website to publish to a custom domain, you’ll need to upgrade to a paid Remixer plan. Then you’ll be officially ready to present your portfolio to the world! Now that you know how easy it is to set up your own website, there’s no reason not to have your own online portfolio — unless, that is, you want fewer paying gigs. 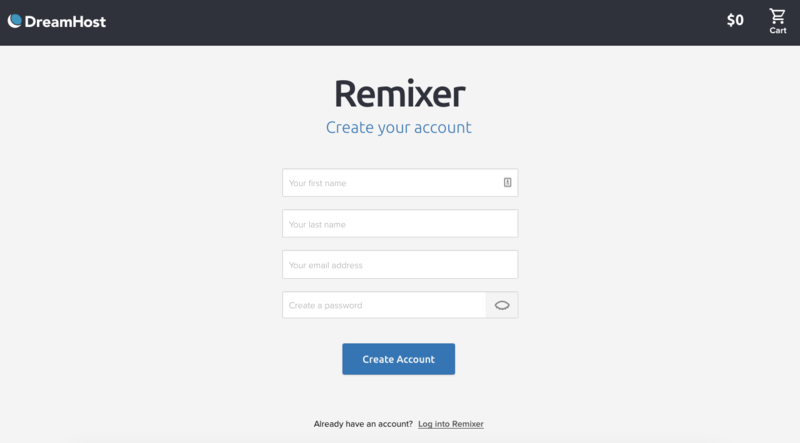 Get your free Remixer account today!